For those of you who have actually experienced a Black Friday Sale you may relate to the struggle, and hence understand the title of this post. There are times it feels like a battleground and you have to survive the Black Friday sales. Everything can be picked over in a matter of minutes as the crowd rush to claim their discounts. I’ve seen yelling, screaming, pushing and shoving to get to items that people desire most. This is only one negative perception of Black Friday, but most of my own experiences have been good and I’ve been able to save money on high ticket items because I had a plan. I personally like to take advantage of Black Friday sales and I have been doing so for the last ten years. I may not be a die-hard Black Friday shopper who camps outside the front of a store days before, but I have to give kudos to the people who are able to do that. There are other more effective ways to reap the benefits of Black Friday sales than by camping out. I believe the best way to handle Black Friday is to be prepared and have an idea of why, what, when, where and how. That is why I created the Black Friday Planner to help answer these questions. Why are you going? What store are you going to? When does the store open? Where is the item located in the store? How much will you be spending? If you can answer these five questions you can make your life easier as you plan ahead. 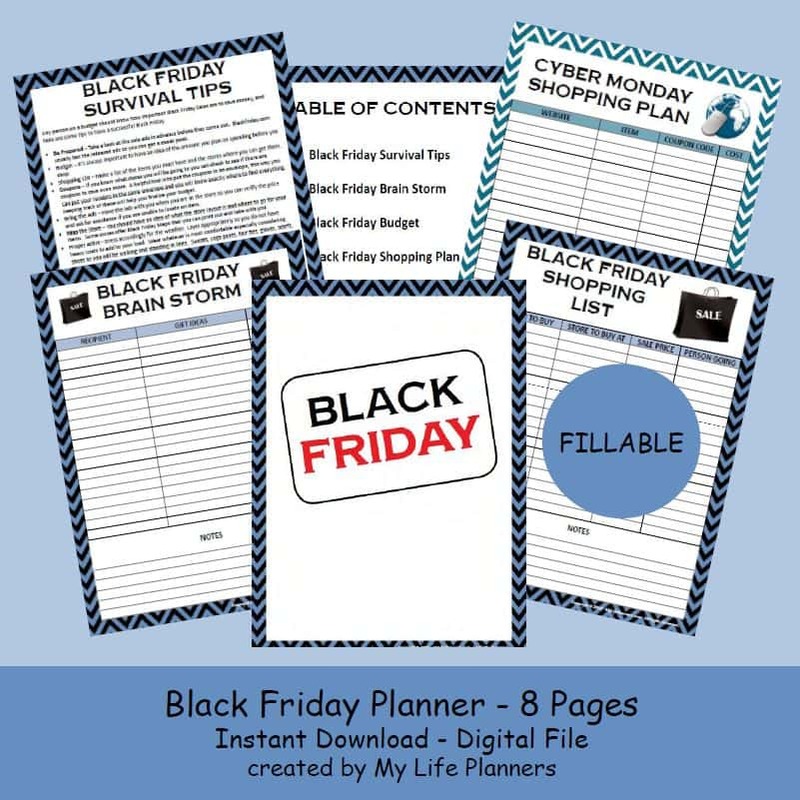 Recently, I featured my Black Friday Planner in My Life Planners’ Etsy shop. Included in this planner is my 13 Black Friday Survival Tips. Being a former Girl Scout, I have always kept their motto of “Be Prepared” with me. In my opinion, one of the key elements to making anything in life successful; you need to be prepared and planning ahead helps you stay focused. Thanksgiving reminds us to be thankful, take that attitude with you while shopping. Yes, you might run into rude people as someone may grab the last item you were at that store to get or an employee is cranky because they have to work. Know that kindness goes a long way. Be safe and happy shopping.